Models take a bow on the runway Wednesday as local designer Jennifer Butler's Spring 2014 Fashion Show wraps at the Sportsplex fieldhouse. Even though another winter storm was closing in, the fieldhouse at the Fairfield Sportsplex was fully booked Wednesday night as fans of Fairfield's foremost fashion designer checked out her latest styles. The gathering of fashionista followers of designer Jennifer Butler was for a good cause, benefiting the Fairfield Public Library. 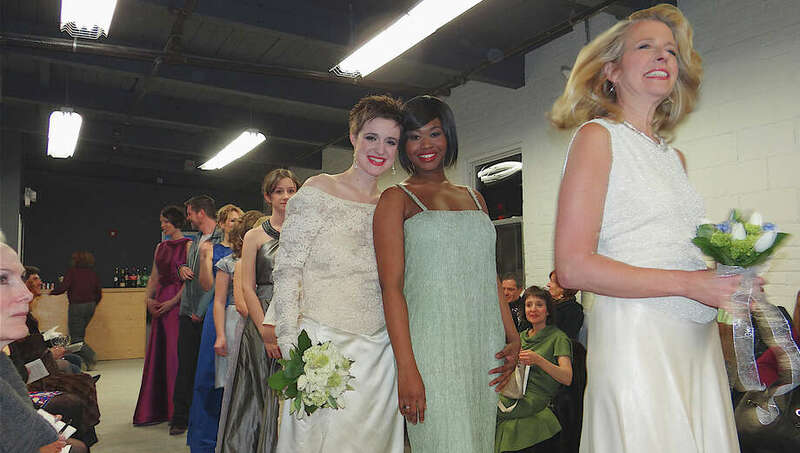 A dozen models showed off more than 60 outfits during the show, ranging from jackets, raincoats and skirts to linen dresses, silk gowns and even wedding wear. The latest looks for men and children also hit the runway. Jewelry by Jennifer Brown was also featured. And off the runway, but adding to the evening's ambiance, Cinch Gourmet Market offered food, flowers were designed by Coreen's Bridge Floral, hair styled by H. Salon and wines by Twisted Vine.